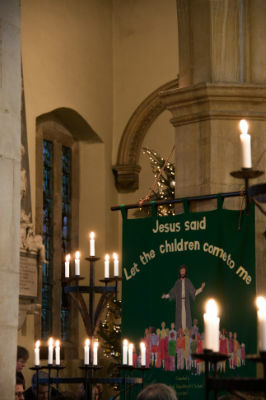 When you come into our church, you see a large banner made by the school children. It says "Let the children come to me". Children and young people are very important to us, and we welcome them to our church and our services. We have an area of church especially for children, where there are things to do and toys to play with. We can also offer play bags to take to your pew. On the first Sunday of the month, our Open Door, a relaxed informal service, is particularly child-friendly. After breakfast at 9.30am, we offer something for all ages, where all are welcome to learn something, pray something and sing something. Sometimes we learn together, and sometimes the children, young people and adults learn in separate groups. 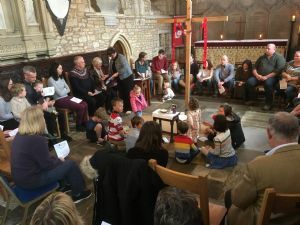 On the 3rd Sunday each month Junior Church - a Sunday School for primary aged children, takes place in the Church Room under the guidance of Amy Todd, our Team Youth Leader. 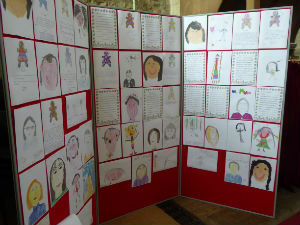 Bright Sparks is an after-school club for KS2 pupils at Blockley School, held every Tuesday until 4pm during term time. Explore is held At Chipping Campden School every Wednesday lunch time. A fun, friendly way for students to explore their faith. Term time only. Youth Gathering is also held every Wednesday 3:30 - 4:30pm for any young people who are keen to get to know each other, God, and who love hot chocolate. 11+. Please see News for special services and holiday clubs.